When you lose a tooth, what are your options? For many years, you had three: wear dentures, get a bridge, or just leave it as is. For most patients, each of these three options left things to be desired. However, now dental implants are a fourth option available to you, if you work with Eten Dental in Bayside, NY. Dental implants allow you to replace your missing teeth permanently. 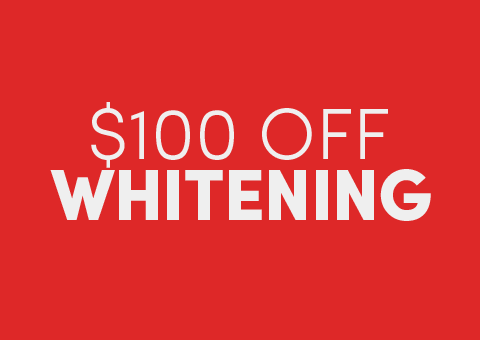 With this treatment, you not only mask the missing tooth but restore the function of it. However, before you opt for dental implants, it is important you understand what exactly they can do for you. Eten Dental in Bayside is a certified dental implant provider, which means that when you work with us, you get the best possible results. And this means receiving dental implants that can last you the rest of your life given you follow the care instructions provided to you. When you look at the lifespan for other treatment methods—bridges and dentures—this particular benefit becomes even greater. Dentures last about 5 years while bridges last around 10, neither of which comes close to the lifetime of healthy and attractive smiles dental implants offer. When you look at the cost of dentures, bridges, and dental implants, dental implants appear to be the most expensive. Comparing only the initial costs, this is true. However, because dental implants can last your entire life, they cost you less in the long run. By the time you replace your dentures or bridge just one time, you will likely find that the dental implant would have been cheaper. When you wear dentures, there is always the lurking fear that people around you can tell they are there, or that they will slip out when you are drinking, eating, or talking. These concerns are not present with dental implants. Dental implants are fixed into the gum and jaw bone, so there are no visible supporting structures and no risk of them falling out. No one will know you have a dental implant unless you want them to. While improving the look of your smile is a big motivating factor in replacing missing teeth, dental implants can restore more than just your grin. Because your lips and cheeks tend to sag around and sink into the gaps left by missing teeth, your entire appearance can be altered. However, once dental implants fill the gap, your lips and cheeks will be pushed back into place, balancing your facial features. Bone loss can be devastating, and when bone loss affects the jaws, it can cause a whole host of dental problems. If you have lost a tooth, then the jaw bone where the tooth used to be is even more susceptible to bone loss. However, dental implants can stop or even reverse this bone loss by stimulating the jaw bone after implantation. The end result is a stronger jaw and a lower risk of losing more teeth. Denture wearers have to add soaking and cleaning their dentures to their oral hygiene routines. For those with bridges, brushing and flossing are more complicated and require new approaches. Dental implants, on the other hand, are cleaned just like your natural teeth, so you do not need to change your approach. 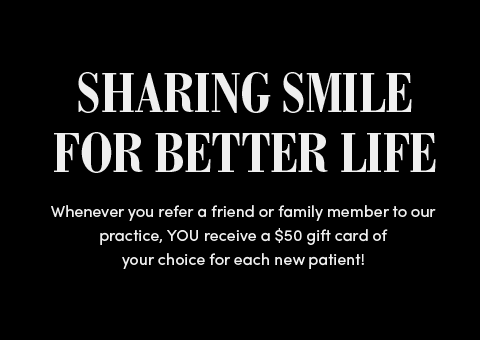 The team at Eten Dental in Bayside will make sure you know exactly how to care for your implant. The various sounds that make up language are formed by the tongue, teeth, and palate. And change to any of these parts of the body will result in alterations in your speech. Bridges and dentures replace missing teeth, but not in a way that perfectly mimics your natural teeth, often resulting in lisping and dull sounds. Dental implants, however, are a pristine copy of your natural teeth, ensuring that your speech returns to normal as soon as you adjust to the implant being there. When you are missing a tooth, your eating habits change a lot, including what side of your mouth you chew with. If you replace missing teeth with dentures or bridges, the risk of damaging them may force you to change the foods you eat. However, dental implants are as strong as natural teeth, or even stronger, so as soon as they are settled into place, you are able to eat any food you want. Most patients working with Eten Dental in Bayside to treat tooth loss have lost teeth due to cavities and decay. Many of them worry about developing more cavities in the future and having to deal with the whole process all over again. While your natural teeth will still be vulnerable to cavities, your dental implants will not be, giving you a little more peace of mind. Once you lose one tooth, the chances of you losing more teeth will increase. This is because your teeth will start to migrate now that they are no longer held in place. When a dental implant is placed, it stops this migration and helps your other teeth to firm up in place, lowering the risk that you will lose more in the future. When you look at long-term success rates for various forms of tooth replacement, you will see that dental implant success rates are very high. This is because there is nearly no room for user error. As long as you go to your twice-yearly checkups and practice a good oral hygiene routine at home, you should have excellent results with dental implants. 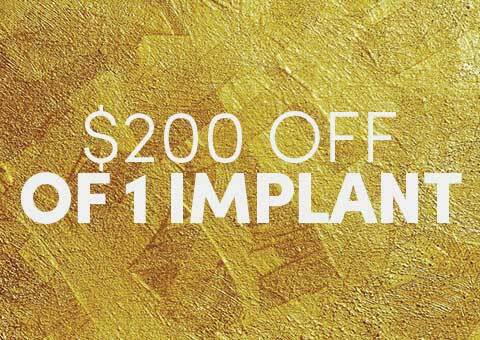 Dental implants have been growing in popularity, and many dentists now offer them to meet consumer demand. However, getting the results you want means you need to work with an experienced dentist. 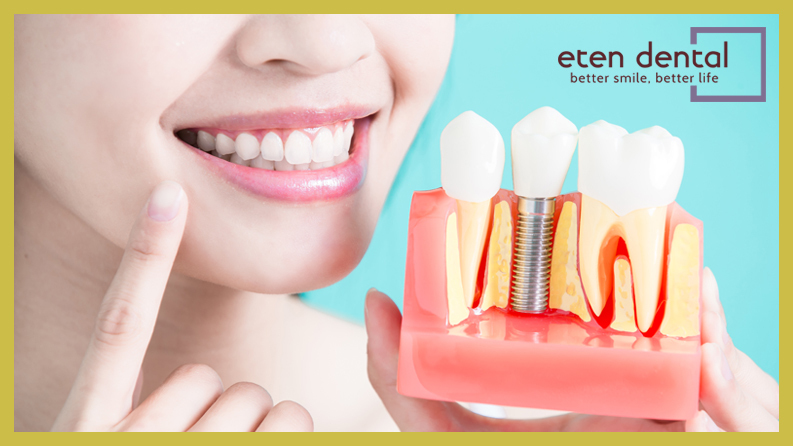 Eten Dental in Bayside is highly experienced with dental implants and can assure you will get the results you are looking for and a smile that lasts a lifetime.